Overwhelms the target's mind, dealing 394 Magic damage. Deals 197 additional damage if the weather is Arcane Winds. Deals 394 Magic damage and reduces the target's speed by 25% for 4 rounds. A few weeks ago, I saw one in the graveyard by the tamer but by the time I killed the bat, it had despawned (or splash damage?) I have checked back many times and at all times of the day and haven't seen one since. @Eldarmark, the Arcane Eye is stil available, they tend to float around the upper ledges of Kara itself, and not along the ground where they used to be. I've seen several in the past while. If you still have trouble, you can go to the dragon (human form) in Blasted Lands and ask her to send you back before the Legion invasion. Hearthing will break the spell and return you to the present. Happy Hunting! Been loking for this for a few days, without luck. May 2018. DWP and Kara have been redone, and I haven't see any other pet users in the area farming them... is this no longer available here? This is my go-to pet for tackling Flying pets. 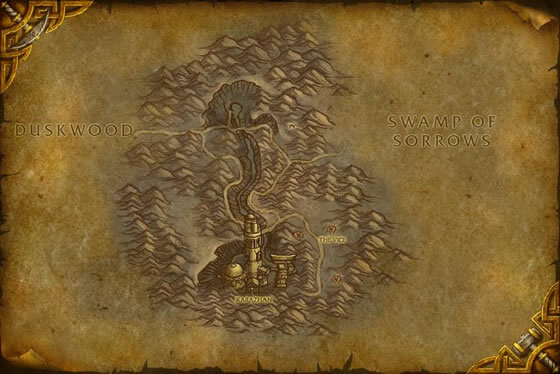 Spent about 20 minutes trying to find some around Karazhan's vicinity at 10:37am EST. Only found a grey quality one, at 43.8, 67.4. Seem to be tricky to find. I don't ever see this pet come up, but it should. It was the first wild pet I ever collected that was rare, so I've been using it for a long time. I still think it's one of the strongest pets to use against flyers. If you can pop off Drain Power and then Mana Surge without dying, you'll easily tear down your opponent. Today, July 7, 2017 - at Deadwind Pass trying to get my Eastern Kingdom Safari Achievement. It's 9:30AM EST and I was able to find a poor quality shadling in the cavern/cellar. I will upgrade it with a stone. Cool little pet. I went to do battle with the pet master and while I was standing there an Arcane Eye spawned right beside me. Perfect timing! It was an uncommon too! :) Was also able to get an uncommon Lofty Libram at the Dalaran crater along with an uncommon Snowshoe Hare. Great, pet hunting, morning. This morning (2016-08-21) I was able to find a ton of these around Kharazan. It was around 7AN EST. There were also several restless shadelings under ground. I was on my level 87 mage. I hope this helps others. Looks like these pets will be much harder to find, since the patch on 8/19/2016. Several reports of people spending hours there and not seeing one show up. I haven't seen any and I keep a character there and check every few hours. They have added some 100 level npc's there, so I wonder if they have plans for something diifferent there when the new release comes out. This pet is a great addition to a Nexus Whelpling Mana Surge team. His magic status allows you to absorb dragon based damage and either slow the enemy pet down with Eyeblast or to rip them apart by lowering their damage and increasing yours 25%. In addition you have Psychic Blast to finish things off. Usually I name this pet "Is" because Resistance Is Futile is my team. And the curse of little XP negates the ability to level other pets in the area, so its a definite irksome grind. That and the annoying trial of trying to figure out when the other pet in the area is going to spawn (I'm on Thrall and have camped from midnight to almost 3AM and still no Restless Shade) means that this area is my Achilles Heel. Thank god I have pretty ankles or this would be frustrating. For some reason I love this pet, although I always feel like he is watching me. I am not paranoid. My psychiatrist says that he is not watching me, so I am sure he is not watching me. I mean how could he watch me, he's not real. Is he? But anyways, the best pet against flyers is the Nexus Whelpling in my opinion. 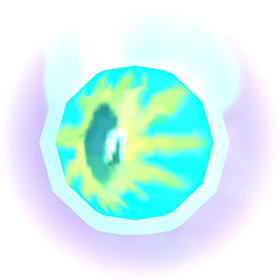 But the next best pet against flyers is the Arcane Eye. His Drain Power ability is awesome if you combine that with Arcane Storm. Look out. I don't know what's going on with leveling here. But I tried my Pandereren water spirit lvl 13 for about 5 fights without one level. And I did a lvl 10 dark whelpling close to leveling up and all it did was barely go to 11. This is a decent pet vs flyers. Weak defense but can burn down alot of pets before you have to swap it. A staple of my "B" team. Just managed to catch my first one - a rare nonetheless! - using 3 x Fluxfire Feline [uncommon, 2 x lvl 6 and a lvl 7]. Took me a couple of tries, but in the end managed to catch it by a hair (or, more precisely on the very last round before my third kitty perished). So happy! Getting the other two eyes after this was a piece of cake (first two kittys were enough to catch both a poor and a common eye). Very easy to find in Deadwind Pass near the entrance to the Kharazan instance. Spawn in front, back, top and sides of the building, as well as in the adjacent water channel. Easy to find via flight form or flying mount. They spawn 24 hours a day, but you may wish to hunt for them before and after hunting for Restless Shadelings in the Master's Cellar. If you don't find rares, check again later, and you may double or triple your luck! If these were tradeable, I'd make a killing! Only found one in all the Deadwind area and it was an uncommon. Never take your eye off of it.